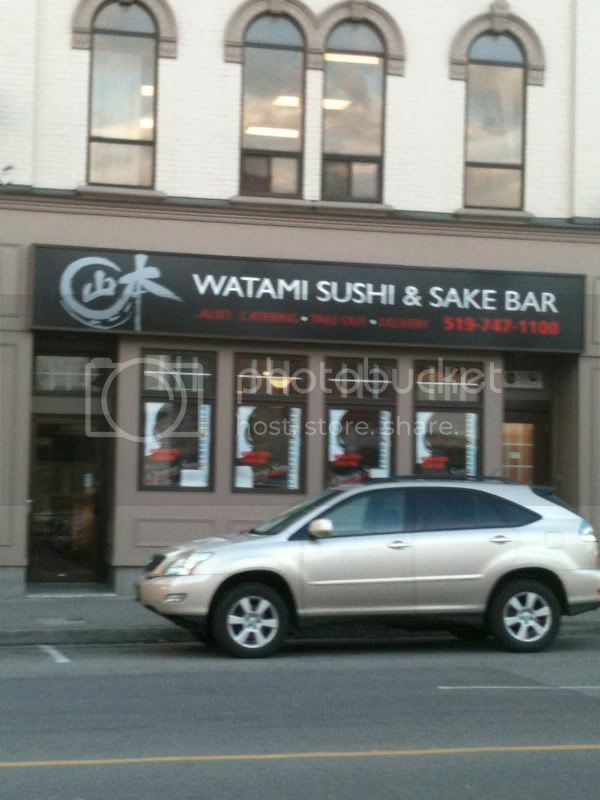 With many of the Uptown Waterloo restaurants coasting at low levels, it was with a fair amount of apprehension that I agreed to meet my buddy Mehmet for lunch at Uptown’s newest sushi restaurant – Watami Sushi and Sake Bar. Maybe that’s the great thing about having low expectations – the food, and atmosphere were actually really good, as were the prices. We both had the sushi set, which came with salad, soup, dumplings, sushi and sashimi. At $10.95 it’s one of the more expensive lunch specials. (The most expensive is the sashimi set at $12.95). This place is great! I hope it catches on because the quality of the sushi is up there with the best K-W has to offer. Dan's right. This place has the best sushi in Waterloo, I think.